“When in Rome, do as the Romans do” is a popular idiom meaning when you are visiting a different place or culture, you should try to follow their customs and practice. Whenever I travel, whether it be within the states or outside of the states, I try to eat what the locals eat. Today’s post will be about popular desserts around the world, specifically from the top 5 travel locations in 2012 according to The New York Times. First stop is Panama. I have never visited this country before and know nothing about it, besides the historic Panama Canal. Tres Leches cake is a wonderful Panamanian dessert that is also popular elsewhere in Latin America. “Tres Leches” translates into “three milks” because the sponge cake is soaked in three kinds of milk: evaporated milk, condensed milk, and heavy cream. I’ve actually never tried this cake before, though I’ve seen it on menus at Spanish restaurants. 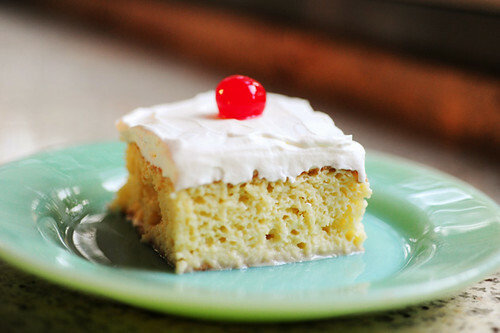 Tres Leches cake sounds heavenly and I can’t wait to try it next time! Number 2 on the list is Helsinki, Finland, another place of interest on the bucket list. The traditional Finnish dessert is a bowl of vispipuuro, a whipped berry porridge that tastes sweet and has a mousse-like consistency. The recipe seems simple with only a few ingredients. Any type of berry may be used, with the most popular one being the lingonberry. I would love to try vispipurro and other foods at a Finnish restaurant one day. Myanmar, also known as “The Land of the Golden Pagoda” is ranked 3rd on the 2012 travel list since it is recently opened for/promoting tourism. The dessert to eat in this Southeast Asian country is shwe yun aye, which means coconut cream sherbet. It is served chilled with sago (tapioca), agar (jelly), coconut milk, sugar, and crushed ice. This is a refreshing treat for a warm place like Myanmar. This year’s Olympics will be held in London, which explains why the English city is 4th on the list. The must-try dessert in England is the Trifle – a multi-layer dessert in various flavors and textures. It has been consumed and enjoyed by many, for over three centuries now. The Trifle seems very easy to prepare, presents itself nicely and is even current with this year’s American dessert trend: layered cakes (to be discussed in future post). 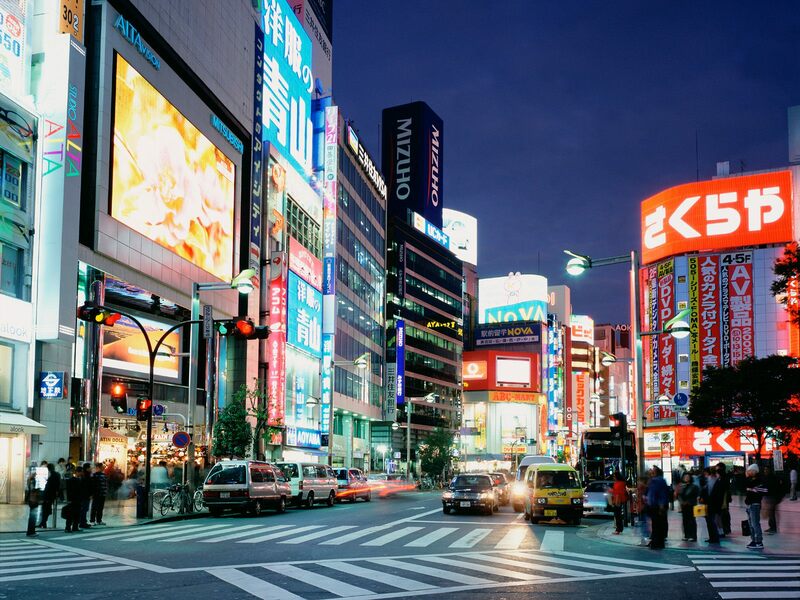 Tokyo, Japan is actually 6th on the list but for this foreign-focused post, I am skipping #5 Oakland, CA (a U.S. city). In Japan, mochi is probably one of the most popular dessert items. It is a circular-shaped dough made of Japanese rice cake with a gummy texture, and usually wraps around a dollop of flavored ice cream. Mochi comes in all different colors and flavors, which makes it more fun to eat. They are sometimes served at Japanese restaurants, diced as a frozen yogurt topping, and even sold by the box at your local Trader Joe’s in the frozen foods section. There you have it – a mini world dessert tour! If you’re planning to travel this year, consider these highly recommended destinations and enjoy the local dessert while you’re there. Or if you just returned from a trip, share with us your favorite food memory! This entry was posted in American, Desserts, Friday's with Jamie, Travel, Trends and tagged 2012, berries, cake, coconut milk, condensed milk, Dessert, dessert tour, dessert trends, evaporated milk, finland, flavors, frozen foods, frozen yogurt, heavy cream, ice cream, ingredients, japan, japanese food, jelly, latin america, layered cake, London, Milk, mochi, mousse, myanmar, panama, porridge, rice cake, sago, sherbet, sponge cake, sugar, tapioca, tokyo, topping, Trader Joe's, travel, tres leches, vispipuuro.